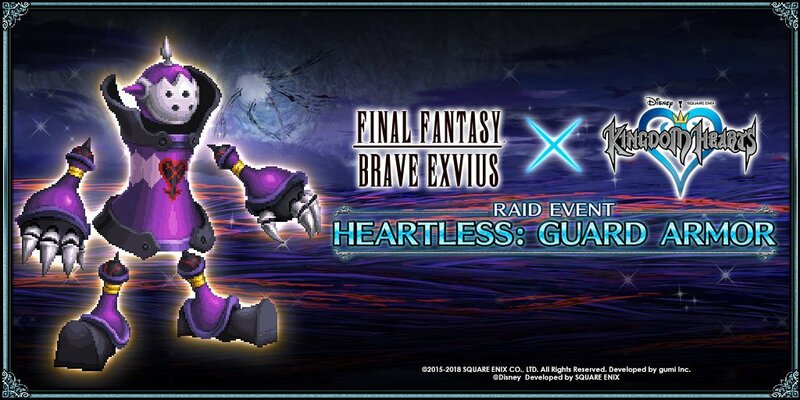 Starting today, Final Fantasy Brave Exvius will be hosting a special Kingdom Hearts event in preparation for the launch of Kingdom Hearts III on January 29th 2019. Sora and Cloud (KH) are available for a limited time, and there will be special login bonuses and raid events as well. Now through January 11, players can obtain Sora and Cloud from the first KINGDOM HEARTS game through a new featured summon. Square Enix released a trailer earlier in December 2018 that showcased Sora and Cloud (KH)'s abilities within the game. FINAL FANTASY BRAVE EXVIUS is available now as a free-to-play app (with in-app purchases) through the App Store, Google Play and the Amazon App store. Further information on the event can be found on the official FINAL FANTASY BRAVE EXVIUS Facebook page. If you do play this game, there's a campaign on Facebook where you can get free rewards. Are you ready for the much anticipated collaboration of the year? 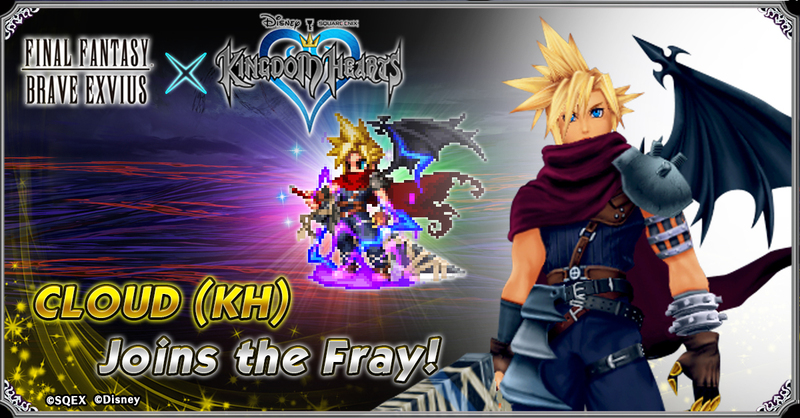 Wait no more as FINAL FANTASY BRAVE EXVIUS welcomes Sora and Cloud (KH) from the critically acclaimed title, KINGDOM HEARTS! In celebration of KINGDOM HEARTS III due release January 29, 2019, we prepared a community event for all the fans! It's easy to join! Shared videos must be on 'public' setting. 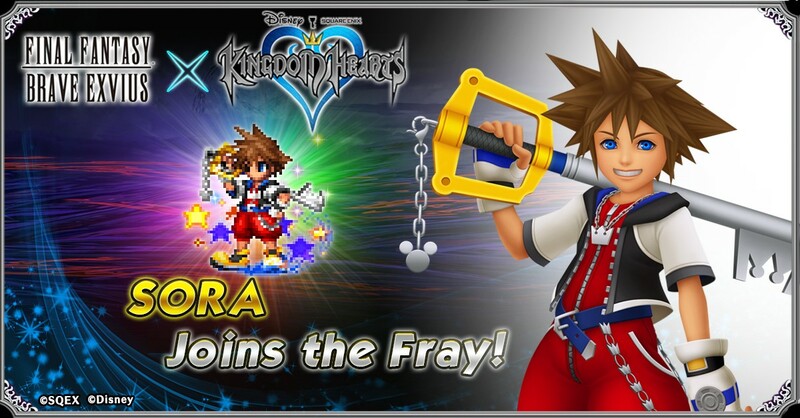 In addition, players need to comment their Player ID along with a short description on why they are excited for the KINGDOM HEARTS and FINAL FANTASY BRAVE EXVIUS collaboration. 3. That's not all! We will select three  random participants to win a FINAL FANTASY BRAVE EXVIUS: The Art Works [Artbook] each. Amazing FFBE artworks are inside for your viewing pleasure!